Don’t you realize that your body is the temple of the Holy Spirit, who lives in you and was given to you by God? You do not belong to yourself, for God bought you with a high price. So you must honor God with your body (I Corinthians 6:19-20 NIV). Beginning Sunday evening, January 24, at 5PM, we will begin a six week emphasis on Holy and Healthy Living! 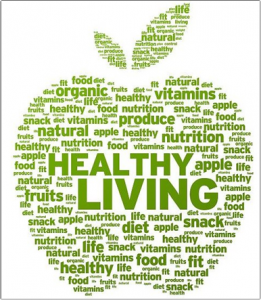 This is not a dieting class but rather a comprehensive study on healthy living. 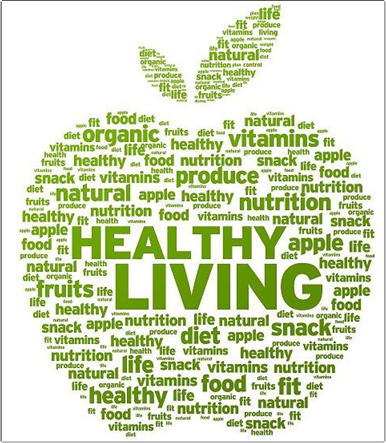 Experts from the Nursing and Health Science Departments at Gardner-Webb will be leading classes on healthy habits, benefits of healthy food choices (Including what should I buy that’s organic? ), preparing healthy meals for families on the go and preparing healthy meals for singles. Other classes will be on diabetes, heart disease, benefits of basic exercise / fall prevention and the last class will be on mental health and well being. If you are experiencing dis-ease in any area of your life it’s going to affect your whole being. Even the Bible tells us that when one member suffers, the whole body suffers (I Corinthians 12:26). Please help in communicating these classes to friends, neighbors and throughout our community. January 24 – Healthy Habits, led by Nicole Waters, DNP, RN – Nicole is Chair of the RN-BSN program at GWU. She has a passion for nursing, education and medical missions. Nicole is a member of Hulls Grove Baptist Church in Vale, NC. *Canceled due to weather, will make up before March 7, time TBA. January 31 – Benefits of Healthy Food Choices, led by Becky Threatt, MSN, RN, CHSE – Becky is the Simulation Coordinator for the College of Health Sciences at Gardner-Webb University and works with the Hunt School of Nursing, the Physician Assistant Studies, and the School of Preventative and Rehabilitative Health Sciences. She is a Certified Healthcare Simulation Educator, and will be working with all of the health sciences as well as developing and coordination inter-professional simulation and education experiences. She has worked and taught in health care for over 35 years; teaching and working in three different states, and four different countries. Although her background and education are primarily in nursing, she has also taught for the Department of Radiation Sciences at Virginia Commonwealth University, the Hamlin School of Midwifery in Ethiopia, and worked with medical students, physical therapy students and many others including the variety of students she currently works with. In addition to teaching, Becky has worked in critical care, cardiac cath lab, a physician’s office, hospice, home health, the mission field, the US Embassy in Ethiopia. February 7 – Diabetes, Heart Disease and Obesity Education, led by Frances Sparti, DNP, APRN, CDE, Associate Professor of Nursing – I have been an RN for more than 36 years and an NP since 1995. I have worked in women’s health (L & D, post-partum, and new born nursery). I worked for 12 years in Public Health, focusing primarily on women’s health (family planning, obstetrics, STD and NCI clinics), but also taught in the community on health living and prevention. I was a Captain and NP in the USAF for four years and worked in primary care, but focused on women’s health and the high risk referral clinic. I worked six years in Community Health in primary care focusing on women’s health, diabetes and cardiovascular disease. I have taught at GWU since 2007 and worked part-time and PRN at Dallas Family Practice in Dallas, GA since 1995. February 21 – Benefits of Basic Exercise and Stretching / Fall Prevention, led by Dr. Jeff Hartman, Phd, ACSM EP-C, CSCS, NSCA-CPT, Associate Professor in the School of Preventative & Rehabilitative Health Sciences at Gardner-Webb University. February 28 – Healthy Meal Preparation for Busy Families and also Meal Preparation for Smaller (Single) Families, led by Dr. Quanza Mooring, PHD, RN, Assistant Professor, AND Program and Licensure Coordinator at Hunt School of Nursing, Gardner-Webb University. March 7 – Positive Psychology & Wellness – —Practical strategies to help you enhance your mental/ emotional health and overall wellness, led by Dr. Linda Greene, MS School Counseling, PHD in Counselor Education ,Teaches in the School of Psychology & Counseling at GWU.